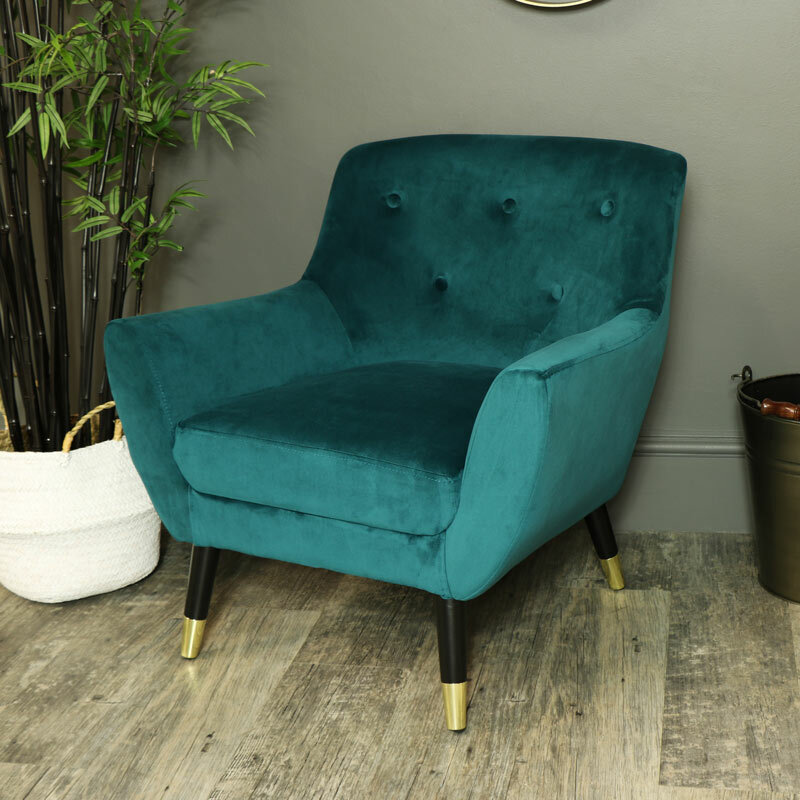 Luxurious teal blue, velvet upholstered, occasional chair with gold tipped legs for a glamorous vintage, modern or contemporary style home decor. Additional seating for the stylish bedroom or girly boudoir. Soft, comfortable and effortlessly chic. Also available iin other colours. Ideal furniture for the home to add that comfy stylish feel. Luxurious teal blue, velvet upholstered, occasional chair with gold tipped legs for a glamorous vintage, modern or contemporary style home decor. Additional seating for the stylish bedroom or girly boudoir. Soft, comfortable and effortlessly chic. Also available iin other colours. Ideal furniture for the home to add that comfy stylish feel. 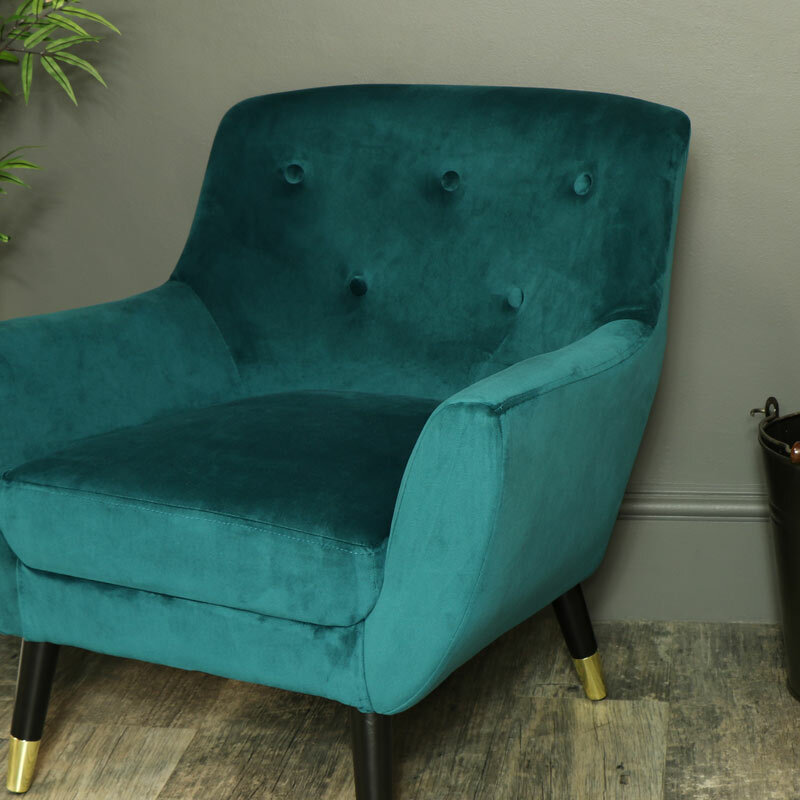 Upholstered in luxurious teal blue colour, soft to the touch, velvet, with black and gold metal legs. With only a little assembly required, this involves attaching the legs to the base of the chair, quick and easy to do. We have many more sofas and chairs for you to choose from and an extensive range of wooden furniture that will allow you to restyle your home and create your perfect drream space. Comfort and style all in one place.